I became KGOU=KROU's Chief Engineer Jan 29th, 2007. 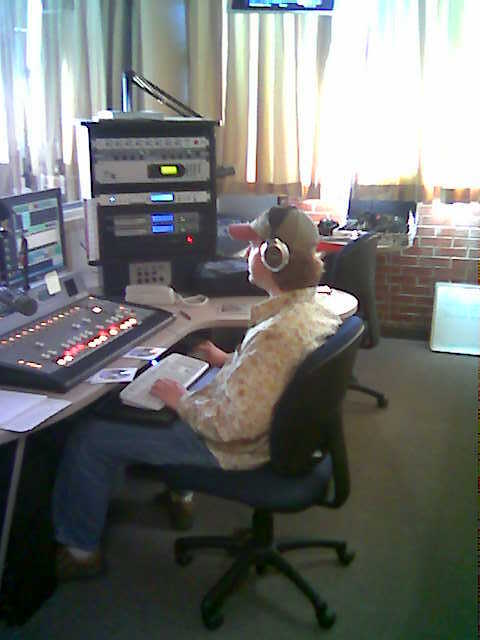 Here's the new KGOU Control Room!! 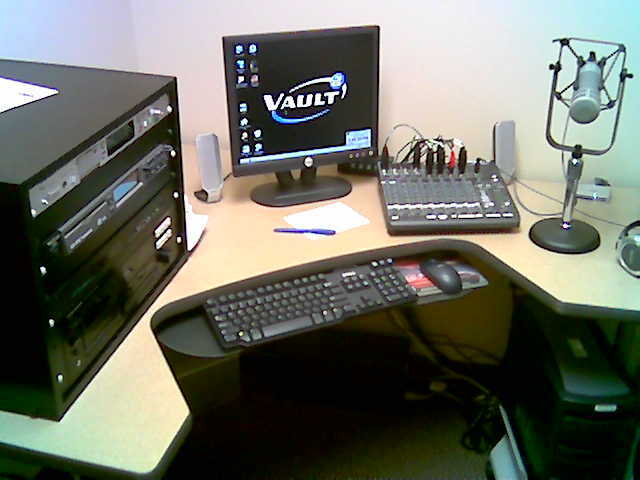 Here's the KGOU "Rack Room"
We use Audio Vault and Content Depot (NPR) among other computers in this room. 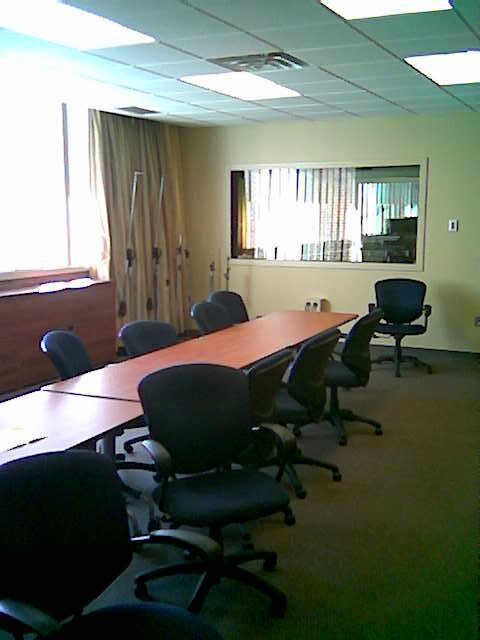 From live blues to fundraising, this room is used for live events and also serves as a staff meeting room. 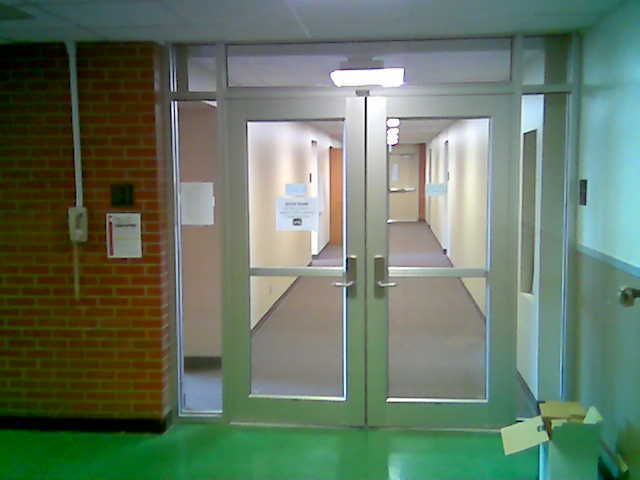 106.3's studio-to-transmitter link originates from this dorm building dog-house. 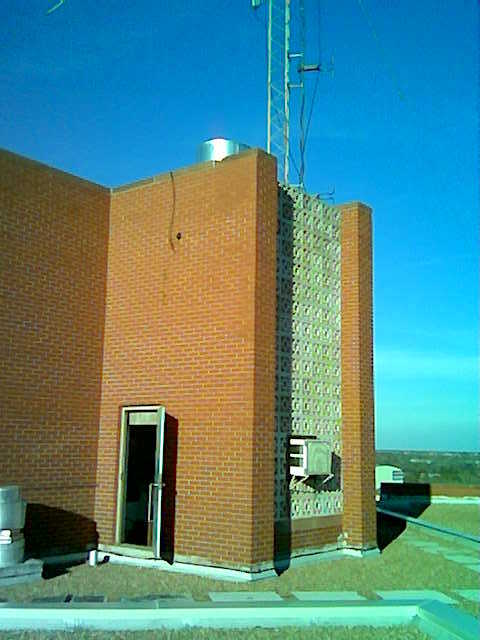 This was the original transmitter site for KGOU pre-1983. The old antenna is still up on the tower and seems to be in-tact. 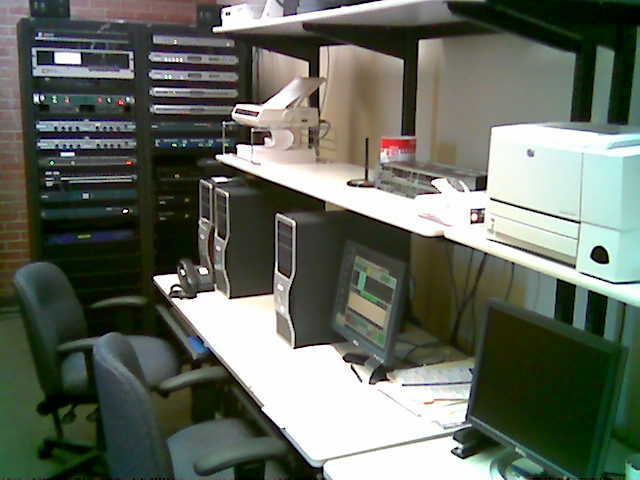 We use this room and another just like it (Edit 1) for staff editing to help supliment our main production room. 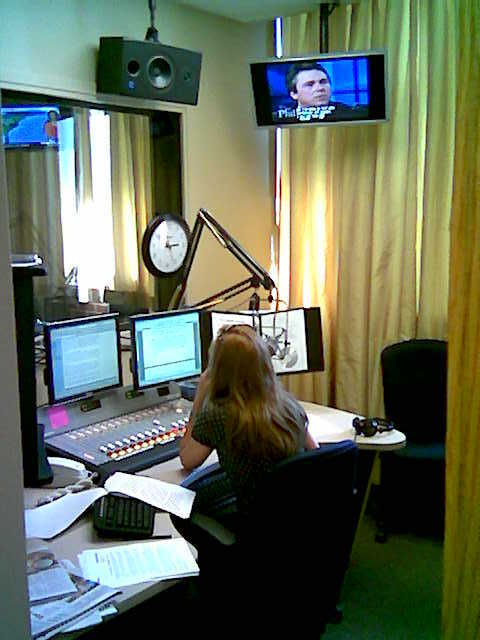 Students have two similar rooms to do their "assignment radio" duties that air on KGOU.